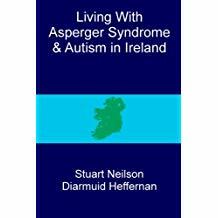 This book is for people with autism spectrum disorder, from adolescence to adulthood, and for people who wish to understand the experience of living with autism in Ireland. The term ‘autistic’ in this book refers to all people with autism, whether with Asperger syndrome, high-functioning autism or any other position on the spectrum. Why specifically “in Ireland”? Because this book is about life, not about autism, and we want to refer to the services, bureaucracy, social settings and other influences that create problems in everybody’s life. Learn how the senses work and how sensory systems can function differently for people with ASD, leading to sensory perceptual issues. What are the difficulties that can arise at work, college, home, or in public or cyber spaces? Practical strategies and creating a unique 'sensory plan', based on frequently encountered environments and situations, will help any adult with ASD to overcome these sensory difficulties.